Another entry from the “iMacs in the wordspace” desk – this time either a G5 or Intel Mac. Love the chair, but I wonder how comfy it is? Posted by davelawrence8 at 6:39 am on August 18th, 2009. 3 comments... » Categories: macs. Tags: G5, imac, intel, mac, macintosh, office, workspace. Subscribe via RSS. 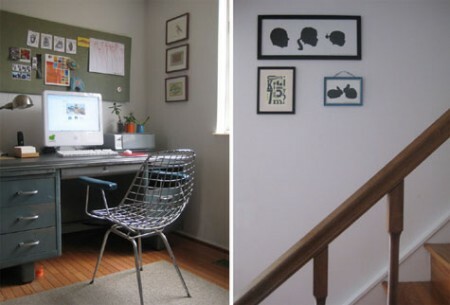 An iMac G4 makes the perfect addition to any workspace, even ones with chill-inducing dog decorations adorning the wall. It looks like a modest 15″ edition running OS X 10.4 Tiger, the same as mine. 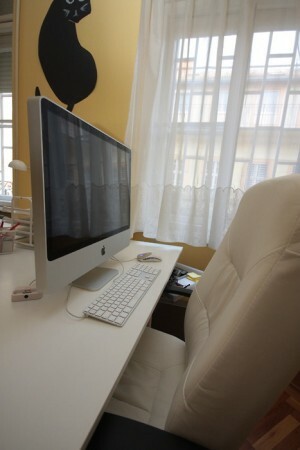 Here’s another workspace featuring an iMac G4 that’s a bit more my style. Love the chair. Posted by davelawrence8 at 6:38 pm on August 12th, 2009. 4 comments... » Categories: lowend, macs. 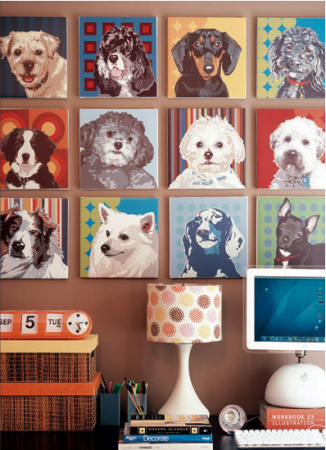 Tags: creepy, dogs, g4, imac, office, workspace. Subscribe via RSS.